Are you looking for a magician in Belper Derbyshire for an adult party of even a childrens birthday? Look no further, I can definitely help. I am a professional magician and specialise in performing at private events, parties and weddings for adults as well as for childrens birthdays. Both styles of magic our completely different, so please navigate around my site to see the online movies as well as details about what I offer. http://www.alexmagic.co.uk take a look. I have over 10 years of experience and am considered the best magician in your area. 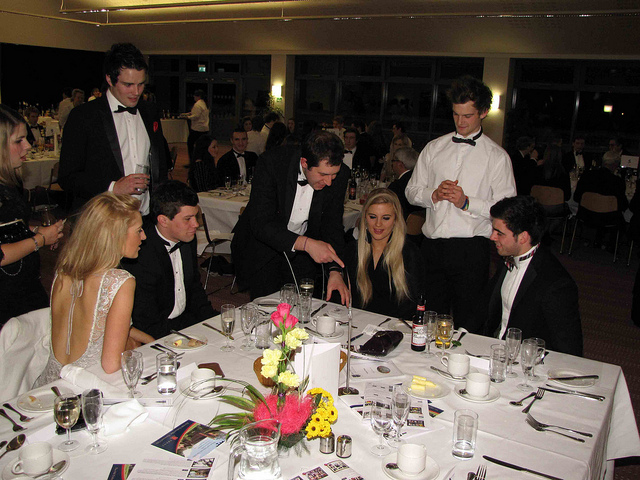 Below is a photo taken from a black tie event where I mingle with the guests whilst seated at tables. I have an extensive testimonials page as well as an inbox bursting with testimonials of people who have witnessed my magic and would recommend me. Take a look at the testimonials page. I offer excellent value for money and I am rebooked time and time again by the same people, so I must be doing something right? What I offer is a unique experience like no other magician with over 15 years of performance and the highest level. Childrens entertainer Belper, magician Belper, Childrens Magician Belper. You can also follow me of facebook and twitter and linked in as per the link from the home page of my website. I invariable get booked up every weekend all year round so the best thing to do is enquire early to avoid disappointment. I have to unfortunately run a first come first served booking system.